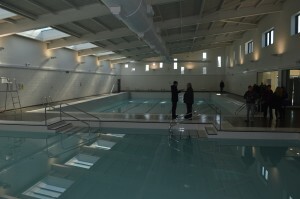 On 21st March 2018, Hobson & Porter’s site team at Woodford Leisure Centre welcomed Hull City Council, along with selected media representatives, showing them the new extension housing a 25-metre swimming pool and smaller beginners’ pool, both with full disability access, sauna, steam room and state-of-the-art gym. 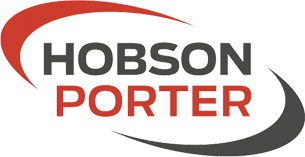 The preview took place less than a month before contractor Hobson & Porter is due to hand over to Hull City Council. 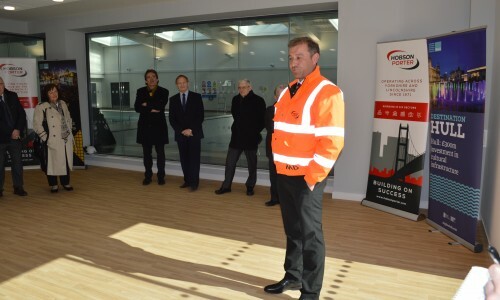 Visitors gathered in the new café area, with words of praise from councillors Terry Gerraghty and Stephen Brady, centre manager Andy Burke, Hull Culture and Leisure’s area manager Colin Clark, and Mike Beal – Hobson & Porters construction director. As well as creating an entirely new part of the centre, the existing building has also been refurbished and the roof replaced. 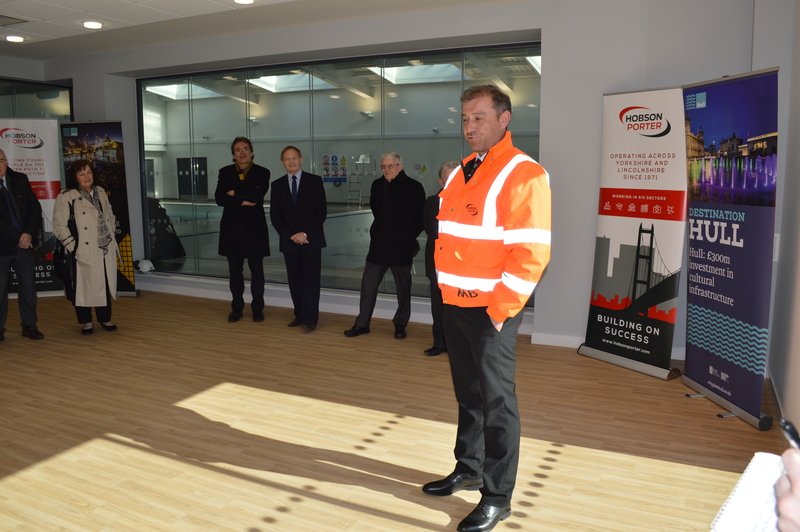 The area around the leisure centre has been completely remodelled, with the creation of a large car park. During the 18 months on site, the construction team, led by Kevin Harrison, has welcomed students from a number of schools and colleges, with St Anne’s Community Special School in Welton, Estcourt Primary Academy and Mersey Primary Academy, both in Hull, producing artwork for the Ivor Goodsite hoarding competition which received the runner’s up prize. Everyone is now eagerly awaiting the opening of the new centre, which will provide a range of first-class facilities for people of all ages.